Are you working outdoors? Stay warm and dry whatever the conditions. 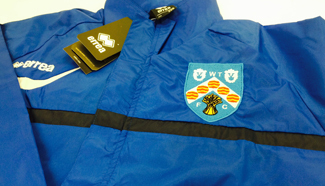 APS supply a large range of Embroidered and Printed jackets in colours and styles to suit every budget and need. Your jacket choice can vary from a warm Fleece to a Waterproof or a High Spec Breathable jacket, all with your logo Embroidered or Printed so that you make a great first impression and your customers know who you are whatever the weather throws at you. Or you can give us a call and APS can help you choose your Jacket based on your expected use.